My mentor is Sensei Faust who is my Aikido teacher. He is a 7th Dan black belt (Shihan), and he is one of the top ranked people in the world. 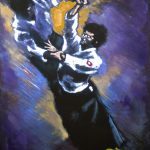 He is also the very top ranked African-American Aikidoist in the United States Aikido Federation. He even holds rank in Karate, Kung Fu, and Tae Kwon Do. He has trained and taught here and in Japan. He teaches in clubs at RPI, he teaches home-schoolers, and he teaches at youth charities. He is also a veteran. He has inspired me by being the most accomplished person I know and made me want to try to get a rank higher than his and learn as much as I can. When I first started it was for fun because I was only 5 or 6, but now I practice to learn to defend myself. He is hard on everyone in his class but he always makes sure we get it right. He is extremely persistent and never stops practicing himself. Learning Aikido under him taught me how to commit to something. I have been doing Aikido for 8 years now and am 5th kyu, meaning I am 5 tests away from black belt. I am one of the only two people to go through the entirety of the children’s class and graduate to the adult class. Everybody else either dropped out or stayed in the children’s class. Me and the other person are also the only kids in the adult class. Usually people at my rank are in their 30s-40s. I owe this entirely to my dad and Sensei Faust. He has been practicing so long it can be measured in decades. More than four to be exact. Plus, he is a part of the direct teaching lineage of the inventor of Aikido. I recently tested for 5th kyu and made it through with a combination of his and my dad’s teaching and encouragement. When I was 6th kyu (the numbers go down as you get higher rank) he made sure that I worked on all of the techniques until I got them all to a degree where they wouldn’t be forgotten after the test. I am currently working towards 4th kyu and plan to get to black belt within the next few years. I will be a role model in the future by taking on some of Sensei’s traits. I will also teach at the dojo, hopefully with others I know. I will teach in a way that people will learn and remember to defend themselves. I will pass on his persistence to others. I will make sure I don’t stop practicing until I can’t anymore. I will also take these traits into my regular life. I know that he will definitely leave a permanent effect on my life and many others of multiple generations. 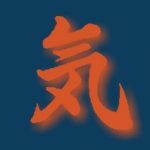 Konigsberg sensei has a new website, harveykonigsbergart.com, which highlights his new, beautiful and dynamic Aikido prints, paintings, and T-shirts. He says, “I believe art should be a luminous experience for both the artist and viewer. To create this experience in my work, I continuously strive to use movement and form to reveal the unseen world.” Visit the site to see his newest art, including the “Aiki Women” series. Prints start at $40. Mixed media paintings sell for $350. T-shirts are currently 50% off and are going for $14. His art makes great gifts! Things came to a head when a group from Japan came on a visit to New York Aikikai. They were doing an article on the dojo and had a photographer taking pictures of the classes. Sensei called me up, and there, in full view of the photographer taking pictures, I was caught full face with one of Sensei’s techniques. As I flew backwards with an arch of blood coming from my nose, even Sensei looked surprised. So, so terrible. Sensei said nothing about the debacle, but he was not happy. I went to him after in misery and apologized. “Must take ukemi. You are Uchideshi.” he told me. I asked him, “What can I do to learn ukemi, Sensei?” He shook his head. I asked him again, “There must be something I can do to improve, Sensei.” He told me, “Take only ukemi. One month.” I didn’t understand what he wanted. “Practice after class ukemi for one month?” “No. No technique. Only taking ukemi. One month.” Yikes. It was a hard month doing 3, 5 sometimes 7 hours of classes a day, only taking ukemi. When the New York people found out Sensei set me this task it was open season on me. Everybody wanted me as a partner as it was “Beat-a-deshi-time.” Long month. Taking me to lunch during that time Sensei told me how there was no learning ukemi when he started. For the first several months as Uchideshi they were only thrown around and had to learn how to fall on their own. “No one teaching! Just do!” He said that ukemi was only front rolls and back rolls. I asked if it was not good to practice ukemi as we do not grow up learning martial arts like he had in Japan. He said maybe but that practice makes too many people take unnatural falls. “Throwing selves! No good! !”he laughed. I said that it seemed natural for me just to stand there and not move at times. He laughed at this as well. “Something comes at head, move head. If don’t then natural get hit!” Good point. Sensei said that perhaps there was a place for ukemi practice but the best was working with a partner. I never completed the second month, but only got through 2 weeks of it. I could not find one single person in all of the students in New York Aikikai who would practice with me. Not one. Almost every person I practiced with was initially happy just doing technique but halfway through class they would ask me to take ukemi as well. And I would tell them no. A deal was a deal. There is a natural rhythm to throwing and receiving that is broken with just doing technique. When people asked me if I was still doing just ukemi they refused to work with me. Sensei was highly amused when I told him I could not finish the month because no one would work out with me. “No excuses! No excuses!” he laughed. I failed in my mission but learned so much doing so. Sugano said the job of Uchideshi is to take ukemi. This is at the heart of being a student as well. 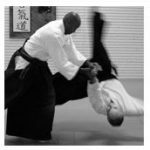 Ukemi is learning the soft internal side of Aikido, to be inside the technique like a surfer riding through a wave as it crashes down. Ukemi is a critical part of Aikido and of life. Ukemi is having connection with the forces that move with and around us. It is also how we learn to make technique work. 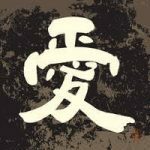 Ukemi must be fast, yielding, subtle and alive in order to be able to transfer these understandings to the heart of what it is to do technique. Because the truth is no Aikido technique works as it is done in the dojo. To make technique work in real situations you need the hard application of technique gives, with the second by second awareness and fast movement ukemi teaches. If one does not train in ukemi one cannot hope to make Aikido technique work. But as well as feeding technique, it must be practical and something that works in real life. 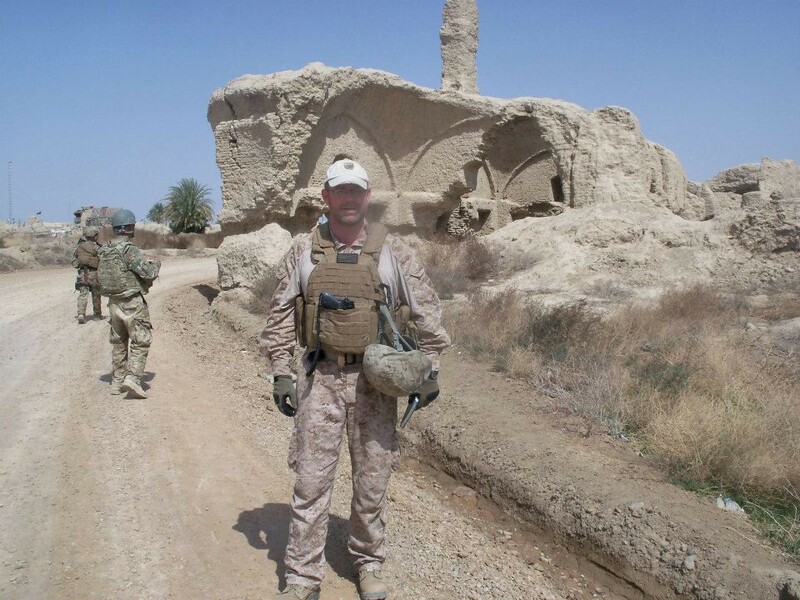 I was on patrol with the Marines in Helmand, Afghanistan. We had been trying for several days to get into this area but stopped each time- first comms down and then IEDs. Finally, we made it to the area bordering Marjah proper and we were ambushed. As the firing raked through the foliage to the left of us with one body the Marines and I went down, the Marines to the ground and myself into an irrigation canal. As I went down I clearly saw my partner and interpreter still standing. Had the fire been more accurate they would have both been killed. Patrolling with Marines in Helmand, Afghanistan. One of Chiba Sensei’s Uchideshi, Juba Nour, was looking for a dojo space. There was a For Rent sign on a building and he knocked on the door. Suddenly he threw himself backwards off the steps of the building without knowing why. Just missing him by the smallest distance an enormous piece of equipment hit the ground where he had been standing a second before. A moment later the door yanked open and a man stood there looking at him in amazement over smashed mess. When Juba knocked on the door the building owner was upstairs in the building he was looking to rent. An old industrial fan was in the window weighing several hundred pounds and leaning out to look at who was knocking the fan somehow was knocked loose and fell. The owner so amazed Juba had not been killed he immediately rented him the space. My wife and I were going somewhere. “You pull out and lead the way as I don’t know where this place is.” I get into my car, she into hers. I pull out behind her to go forward and suddenly she reverses backwards. I sensed her car moving toward me and reacted by simply continuing backward making space for her vehicle. She pulls backwards and then gets out and says to me, “What are you doing?? I told you I don’t know where this place is so why are you back there?” Heart beating I explain to her that she almost T-boned me and nearly destroyed both of our cars. Had I not instantly seen her movement and reacted we would have had a major problem. He told me that Chiba Sensei told them about serving O’Sensei. That when Chiba Sensei had been Otomo for O’Sensei as he traveled and taught around Japan, he would lose 20–30 lbs from the stress of always being attentive to O’Sensei every, every second. When O’Sensei would awake at 2 am in the morning to go to the bathroom Chiba Sensei would have to be awake, have his door open and be sitting if he needed anything. Chiba Sensei told them that taking ukemi was the same way. Total observation, total commitment. Everything. Chiba Sensei told them that he would accompany O’Sensei up a mountain with many steps and he would walk behind him hand at his back. Chiba Sensei and the other Uchideshi would walk with their hand on O’Sensei’s shoulder up the steps to the shrine at the top. If the student wavered in his connection to O’Sensei or bumped into him O’Sensei would not use the person to go up the mountain again. Ukemi must be alive and feeling, connected and moving with Nage. The uke receives and makes form of something that is formless and invisible till Uke becomes the technique in action. If one is not, if they freeze, resist, fight this is dead ukemi. Or simply dead. To the bullet one should have avoided, the stick swung at your head, falling fan or the crashing car. That which is alive moves. Make everything a roll. Sugano Sensei taught that Ukemi should be front or back roll. This applies to even Koshinage. Unless Nage does pinning technique make every fall into a roll. Take the energy from the hand, army, foot and pushing it across the body turn everything into a roll. Donovan Waite’s Kaiten style ukemi is excellent for converting break falls onto rolls. One should always try to shift impact from one place to protect the body and use the energy of technique to escape. Blocking Atemi blocks Ukemi. The most wide spread problem one sees that makes bad ukemi. Uke should be protecting themselves by keeping proper distance from Nage when attacking. They should not defend themselves with the hand opposite unless the technique calls for it. Blocking the Atemi grounds Uke where they received it which is why we don’t block in Aikido but sweep. In order for a block to be effective Uke must put force into the arm, which on contact with Atemi freezes their movement. Uke always has the right to protect themselves by raising the arm if someone is practicing in an unsafe manner that might cause them to hit their face. Aikido atemi should not hit Uke as it is abusive for a teacher to hit a student. Don’t break contact. Uke must follow the energy of the technique where it leads. Uke should only release when falling away from nage as technique directs. Hand connects, center moves. When one raises their hand to hold a cup or when the arm hangs naturally by one’s side there is a certain distance from hand to shoulder. This is natural distance needs to be maintained in ukemi. If the hand/arm contracts too close, Nage must use Atemi to push the person back and if hand/arm is too far from body/center one risks injury when technique is applied. Center and hand should be connected as if by an invisible elastic rope. Move to where there is reversal/escape/attack. In a class talking on ukemi Sensei Clyde Takeguchi once made a statement that stayed with me, “At the end of every technique is a reversal. One should seek this.” That understanding changed my approach to ukemi. Ukemi must be fast and moving but it needs to be always aware and searching. Uke should follow technique always searching, feeling where there are openings in technique. One should not reverse another’s technique as each person must be their own teacher in Aikido, each person making their own Path but one should be aware, always aware. 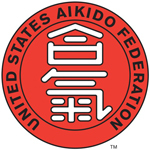 This searching allows one to find correct position for ukemi and allows one to better judge where their openings may be in technique that allow for reversals or to be attacked. This style of Ukemi, of turning toward Nage allowing reversal if wanted/needed, keeps Nage honest in their technique. If a teacher chooses to make a light, flowing Aikido in their school that is their business but to me there must be a martial grounding in all we do. Reversal is important at times. I was teaching a class where a black belt from another style was with us. In explaining a technique, he suddenly reached forward and slapped me. I immediately smashed him to the ground but it was a good lesson that caused me to look at my openings. If a person can punch you, your technique does not work and must be re-examined. Nothing teaches this better than seeking another’s openings. Our Aikido must be honest. Always awareness. 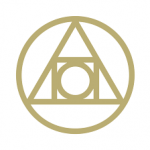 If one is trying to understand what their correct positioning is to be with any ukemi, if one is to take forward or backwards rolls, if one is to discover how one is to react in a situation, one finds the answer in awareness. Uke should always be facing Nage or seeking to turn toward looking at Nage. If a person turns in ukemi and their back is to Nage, they are both open and unaware of Nage’s movement. Uke must be looking toward Nage and not turning back. Humility. Aikido is a spiritual path. In order for one to grow spiritually, lead an ethical, moral life, one should always be guided by a sense of humility. This is at the heart of ukemi. The greatest example of this that I have seen is Harvey Konigsburg. He is Yamada Sensei’s most senior student, having practiced for over 50 years and yet when he was a 6th Dan and I was still a kyu rank, he would take Sugano or Yamada Sensei’s classes and practice with me, taking ukemi from me just as he would one of the Shihans. After a party at summer camp once, where he was the most senior person in the room and the center of attention where all the other Yudansha and senior instructors were bringing him drinks and food, I was cleaning up after everyone else had gone and left empty cups and plates. Rounding the corner there was one person who had stayed to help me- Harvey. I immediately tried to take the dirty plates out of hands saying I would do it and he just smiled, shaking his head. “No. Let’s clean up together.” When I watch Harvey teach I know there are layers on layers there of hard, hard training and humility that have made him and his Aikido continue to be more and more beautiful over the years I have seen it. Ukemi, good ukemi, has humility, concern, love at its center. If one does not somehow have humility one cannot do good ukemi. Nor can they have good Aikido because in the end Aikido is about being guided to assist others and make a better world. This understanding begins with ukemi. * Note on Sugano Sensei’s quotations here. For some years I have wrestled with quoting Sugano Sensei on things I talked to him about. During the time I was Uchideshi in New York I took no notes of my conversations. Seeing a visiting Australian student taking exact notes after Sensei’s class I asked him, “Should we also be taking notes Sensei?” He shrugged and said, “Learn and forget. Learn and forget. Learn, forget.” Because of his instruction I never took any notes despite the very long conversations I had with him. Later I had discussions after I was uchideshi and returned to live and study in New York where I started to record conversations with Sensei. These I recorded, I returning later to check my accuracy with Sensei on what I had written. For the past several years, Florida Aikikai has offered a “workshop” for attendees at their annual Winter Camp. Last year, November 2017, Blue Spruell, Chief Instructor & Shidoin of Peachtree Aikikai Atlanta, gave a presentation about Aikido Terms and Meanings. The first link below is a copy of the written terms, and the second link is a video of his presentation. We are grateful for Blue’s well-documented and very informative presentation, and for offering these items to share in our newsletter. The white oak tip of a jo was shooting toward my throat and I was doing my best to curl under it before it hit me. My body was horizontal, roughly four feet above the mat. In my hands was a bokken. And all around me was a gasp from the seated students who were watching. The tsuki to my neck was as unexpected to them as it was to me. A few minutes earlier I had been called by Seichi Sugano Sensei to get a bokken and attack him with a kirioroshi. He stood on the mat holding a jo as the students all sat to watch his next demonstration. I lined up in front of him with a bokken and attacked. As my bokken descended toward his head, I expected him to get off line. But he wasn’t moving. My brain went into rapid alarm mode: “He-is-not-moving-he-is-not-moving-I’m-going-to-hit-Sensei!” I did not want to be the student who hit Sugano Sensei. I knew what he intended to do. He had been talking about getting off the line and I had done enough demonstrations with him to know that’s what he planned: step off the line as I attacked and counter my strike with his jo. But he wasn’t moving off the line and I stopped my cut before hitting him. Actually, I wouldn’t have hit him, not then or ever. And he wasn’t happy about my aborted strike. For such a generally soft-spoken man, Sugano Sensei’s voice could shake the entire dojo when he wanted to. That’s what he did then. He glared and shouted, “Strike me!” He was definitely annoyed. I moved back into position. This time I would finish my cut and if I hit him, so be it. I had failed to give him a proper attack and this time I was going to make up for it. I raised the bokken and before I could strike or even think, he suddenly did a jodan tsuki. I was being taught a lesson. That’s how I found myself airborne, doing a kick-out so I could curl myself under the tip of his oncoming jo. I landed with the bokken frozen in mid-strike. My heart was hammering, adrenaline spiking, and I got up to attack him again as fast as I could. This time as my bokken went for his head, he vanished from the line and countered with the jo, threading it between my wrists and throwing me. It was the technique I had expected the first time. We did this a few more times and then the class practiced the technique. As went back to my partner, I was dazed. And I felt rotten. I’ve always felt it’s an honor to take ukemi for an instructor, especially Sugano Sensei and Yamada Sensei. I had let him down. And I had learned some important lessons. First, it’s not the ukemi, it’s the attack AND the ukemi. I had failed to give Sugano Sensei a real attack. He knew what my abilities in ukemi were. Doing an unexpected jodan tsuki, he knew I could take the ukemi. But that’s just half of it. A good attack is equally important. And it wouldn’t have required an emergency kick-out. More importantly, I had completely failed to understand how good his aikido was (sadly, Sugano Sensei passed away in 2010). He would have moved and I wouldn’t have hit him. I underestimated his skill. By extension I underestimated aikido. It’s at the top of my list of things to never do again. Ever. I pondered this experience for a long time after that class. I guess I’m still pondering it years later. At the time it really hurt and I wondered if he would call me for a demonstration ever again. He did, of course. Training always goes on. 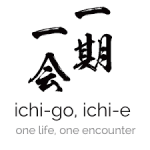 Ichi-go ichi-e (一期一会) is a saying that gets passed around martial arts dojos. In Japanese tea ceremony it’s typically translated “one lifetime, one meeting.” In this sense, each experience is unique, even if it’s something we experience every day, such as a cup of tea or the morning sun. In Japanese martial arts traditions it’s more often translated as “one encounter, one opportunity.” In this sense, when an attack occurs, especially with a lethal weapon, we may only have one opportunity to neutralize the attack. Both interpretations apply to what I learned that day. Every time we practice it is a unique experience, whether we’d done a given technique once or ten thousand times. And each technique—each encounter—should have a life or death intensity. Sugano Sensei demonstrated the razor’s edge of budo, not only that day but every time he did aikido. It’s an encounter I will always remember. Aikido of Scottsdale and Glenn Brooks Sensei have yet another reason to celebrate. Just coming off the heels of their 20th anniversary this past year, they are now announcing the relocation and opening of their stunning new dojo. Designed and built by its wonderful members, construction took over 3 months to complete and at nearly 4,000 square feet, it is the largest Aikido dojo in Arizona. “Every detail was meticulously thought out, designed and created” states Brooks. “From the custom made sliding shoji doors and 20-foot long oak Kamiza to the bamboo flooring, concealed hinged doorways and satin-chrome hardware accents throughout. It’s a beautiful blending of traditional and modern Japanese design”. Perfectly located in one of Scottsdale’s most popular outdoor destinations, hosting movie theaters, multiple restaurants, bars, ice cream shops and more. Foot-traffic of all ages is plentiful day and night. 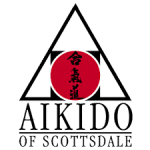 Aikido of Scottsdale is open 7 days/week and offers children, youth and adult classes. They cordially invite all Aikidoist to their upcoming 1 year anniversary seminar February 16-18, 2018. Special guest instructor will be Rado Marinov Sensei, Chief Instructor, Aikido Shiyukan Federation of Bulgaria. They are directly affiliated with Aikikai Hombu Dojo. Rado Sensei teaches seminars regularly throughout Eastern Europe and Japan. This will be his first seminar in the United States. An effective way of viewing Aikido is as a system of reflex control. Erik Riker and I have been studying reflex controls for the last few years. We first discovered structural reflexes by studying videos by Kanshu Sunadomari. I had been exposed to these earlier but did not understand how they worked. These are reflexes that organize our muscles so that our bodies can perform mechanically. 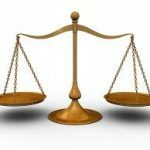 These reflexes maintain a particular balance between muscles. We disrupt that balance. When the balance is disrupted Uke becomes weak. The Unbendable Arm exercise demonstrates this. In that exercise Nage disrupts Uke’s muscle balance in such a way that Uke’s body does not realize it is unbalanced and Uke becomes weak. We normally use these muscle imbalances to cause Uke to fall down. In this case Uke’s body will sense the imbalance and quickly correct. Because of this the technique must be applied at normal reflex speed. In Aikido we cause a rotation about the vertical axis of the torso and/or an arm rotation along with extending Uke out and then dropping Uke. Video’s of everything discussed here are in my YouTube channel, Survival Aikido. For example when executing Kote Gaeshi Nage might tenkan beside Uke and then step back pulling Uke’s arm. This rotates Uke about a vertical axis. The slight forearm rotation increases the muscle imbalance and Uke’s arm is slightly extended. Then Uke’s hand is taken to the floor causing Uke to fall. Done properly pain is not a factor. If pain is involved then Nage cannot determine the effectiveness of the reflex control. We discovered the second reflex control in a different way. Much of our practice is with padded training weapons, particularly knives. Uke attacks with commitment and really tries to touch Nage with the training knife. This type training is too dangerous with a wooden tool so the padded tools are necessary. We determined that just pivoting out of the way as done in basic Aikido would not reliably prevent Nage from getting stabbed. This was true even when Uke did not know to which side Nage would move or what Nage would do. The basic Irimi exercise where Uke raises the boken and attacks with Shomen Uchi while Nage enters with Tsuki has always bothered me. I reasoned that if Shomen Uchi can be so easily defeated then no one could use it. In spite of this Shomen Uchi has been used for thousands of years. I wanted to know the counter to Irimi. I found a video of Saito countering Irimi by raising his boken and then pivoting out of the way of the Tsuki. I thought this was phony because our experience was that pivoting out of the way would not work if Uke was alert. We tried the pivot as Saito had done and it did work. We knew we had just discovered something very important and started trying to understand what was happening. A few months later a friend gave me the book, “Systema, No Contact Combat” by Vartan Mamiko, that explained the reflex. Humans have a grasping reflex. When we reach for something or strike at something a reflex takes over to complete the task and we lose most conscious control. This is a very primitive reflex that may be present in every species. Even the most primitive. This is why a bull fighter can redirect the bull to follow the cape rather than the matador’s body. The swordsman’s pivot works because the raised sword draws Nage’s attention and the Tsuki does not follow Uke’s body. O’Sensei shows this repeatedly in demonstrations. No Contact Systema uses this principle in a different way from O’Sensei. I think O’Sensei discovered this reflex as a general principle and it is a basis of his Aikido. This is not fundamentally different than leading Uke when Uke reaches for Nage’s wrist. When Uke strikes at Nage with Tsuki, if Nage’s hand can grab Uke’s attention, then Nage can get the strike to follow Nage’s hand rather than Nage’s body. Now Nage is a Matador. There are fairly strict requirements that must be met to get this to work. It is easy to do something that looks like the right thing but not get the necessary effect. This principle works best when Nage moves as Uke is at the distance we normally practice. Where Uke’s and Nage’s weapons do not quite touch. Once this principle is applied the basic Aikido exercises that seemed so impossible start working. The further we have gone with this the more convinced we have become that the exercises chosen for Aikido are mostly exercises that teach these reflex or mind control principles. Controlling the reaching reflex is useful for circular attacks and grabbing attacks as well as Tsuki. If is much less interesting where Uke reaches for a wrist if Nage does not redirect the attack. For this reason those attacks do not show the tremendous power of the method. It is important to realize that until Uke attacks there is no reaching reflex to control. If Uke just stands there and does not strike there is nothing to lead. It is also important to note that once the punch finishes the reflex turns off and the mind control ends. A good Uke will then continue with another attack unless Nage has established another control. It should also be noted that controlling the striking reflex also breaks Uke’s structure activating the structural reflexes to Nage’s advantage. The third category of reflexes that are important are defensive reflexes. We have experimented extensively with the startle reflex. In the startle reflex Nage threatens Uke. This causes Uke to take defensive action that Nage can use against Uke. This also disrupts Uke’s structure. We find the defensive reflexes most useful in freestyle when we are close to Uke. This would be more like a Karate fighting distance. This happens frequently because the second Uke tries to get Nage while the first Uke is being thrown. Controlling both the striking and defending reflexes involves getting Uke’s attention so both involve reaching towards Uke’s face. This means that Nage can always start the same way giving the same initial response. The three reflexes discussed here are fundamental to the Aikido practiced by O’Sensei. Once aware of the reflex controls it is obvious what O’Sensei is doing. There are other reflexes we are studying but these give a good start to learning reflex control. Controlling these reflexes makes Aikido an exercise in mind control.